The Fair Work Commission delivered its annual wage review decision today. This decision will have a significant impact on all businesses and industries and over 1.86 million employees who are paid at the national minimum wage or modern award rates. the national minimum wage will increase by 3.3 per cent to $18.29 per hour (and $694.90 per week for a full-time employee), an increase of $0.59 per hour. In reaching its decision to award a higher increase than previous years, the Commission took into consideration economic factors such as a 6.8% increase in the net national disposable income over the year to the December 2016, an increase in all national measures of inflation, a CPI increase of 2.1% over the year to the March quarter 2017, a sharp rise in labour productivity growth in 2016, an increase in profit growth in both total and non-mining industries and a generally positive outlook for business conditions. The Commission also noted that unemployment had increased slightly from 5.7 per cent in April 2016 to 5.8 per cent in April 2017, and wages growth and growth in the WPI has been lower in 2016 than it was in 2015. The Commission also took into account a range of social and other considerations. In particular, the ‘promotion of social inclusion through increased workforce participation’; ‘relative living standards and the needs of the low paid’, ‘the principle of equal remuneration for work of equal or comparable value’, and the ‘need to encourage collective bargaining’. The Commission did acknowledge that the proposed increase to the national minimum wage and awards would not lift all award-reliant employees out of poverty, particularly those households with dependent children and a single-wage earner. If you pay your workers at award level, the increase to minimum rates will take effect from the first full pay period commencing after 1 July 2017. You will need to check awards and increase pay rates to comply with the increases in award rates. The Office for Employment Relations can provide you with assistance on this and other employment related matters. 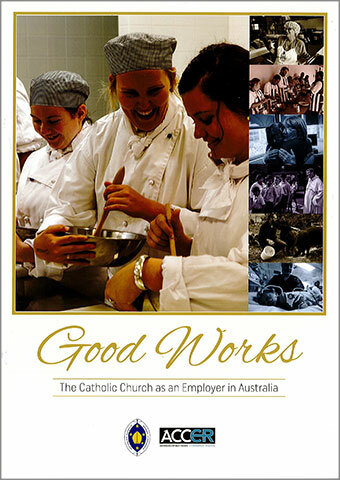 Please visit our website: www.employmentrelations.catholic.org.au or contact Jane Bashiruddin at the Office for Employment Relations on 0447 238 432. The National Minimum Wage (NMW) be set at $710.00 per week and $18.70 per hour. Award rates of pay be increased by $30.70 per week. The claim in respect of the NMW is for an increase of $37.30 per week. The claims are made in a proceeding which requires that the FWC establish and maintain a safety net of fair minimum wages that takes into account, among other matters, relative living standards and the needs of the low paid. the social and economic impacts of the claimed increase. The Fair Work Commission has varied Time Off in Lieu (TOIL) provisions in the Social, Community, Home Care and Disability Services Award and the Clerks Private Sector award. These changes came into effect from 14 December 2016. Time off in Lieu is to be taken within 3 months of the overtime being worked and at an agreed time within that period. An employee may request to be paid overtime for hours not taken off at any time during the 3 month period. This pay rate applies to employees whose employment is covered by a modern award and whose minimum pay rates are governed by that award. Employers who pay award rates must check the relevant award to ensure that they are paying their employees according to the award. If you’re not sure which award applies to you, check the List of awardson the Fair Work Australia website. Employees who earn more than the high income threshold and who are not covered by a modern award or enterprise agreement are not able to access the unfair dismissal jurisdiction. Granting Annual Leave in advance: Employers and employees can agree for an employee to take leave in advance (i.e. before it is accrued). The agreement must be made in writing and must state the period of leave granted in advance and the amount of leave to be taken. The employer must retain a copy of this agreement. If the employee’s employment is terminated before sufficient leave has been accrued to make up for the leave granted in advance, the employer may deduct any money that is due to the employee equal to the amount already paid to the employee in respect of that annual leave taken. Close-down: an employer may require an employee to take annual leave as part of a close-down of its operations, by giving at least four weeks’ notice. Excessive Annual leave: Excessive leave is defined as leave accrued be an employee which is more than 8 weeks’ paid annual leave. The employer and employee can discuss the excessive accrued annual leave to try to reach an agreement on how to reduce this leave. If agreement cannot be reached, the employer can direct the employee to take annual leave, so long as the employee will still have at least 6 weeks of annual leave remaining after the directed amount of annual leave has been taken. The employer cannot direct the employee to take less than one week of annual leave, and the employer cannot direct the employee to take a period of paid annual leave beginning less than 8 weeks, or more than 12 months, after the direction is given. An employee who has an excessive leave accrual can also request an employer to grant up to 4 weeks of paid annual leave in any period of 12 months providing that they have excessive annual leave accrued for more than 6 months at the time that they make the request. Granting the request must not result in the employee having 6 weeks or less of annual leave remaining. The employee may not take less than one week of annual leave at a time, and this leave must not the taken sooner than 8 weeks or more than 12 months after the request is made. Cashing Out of Annual Leave: An employer and employee can agree to cashing out a particular amount of accrued paid annual leave. The agreement must be in writing and must state the amount of leave to be cashed out, The payment to be made to the employee and the time that he payment is to be made. There must be a separate agreement for each occasion when annual leave is cashed out. The agreement has to be signed by the employer and the employee and retained as an employee record. The payment must not be less than the amount that would have been payable had the employee taken the leave at the time the payment is made. Cashing out of annual leave must not result in the employee’s remaining accrued entitlement to paid annual leave being less than 4 weeks. The maximum amount of accrued paid annual leave that may be cashed out in any period of 12 months is 2 weeks. EFT and annual leave payments: An employee paid by electronic funds transfer (EFT) may be paid in accordance with their usual pay cycle while on paid annual leave. When the annual leave provisions are finalised, check that the provisions in your conditions of employment match the new annual leave provisions. Inform your workers of any changes to their awards and make a copy of the relevant awards available to them.